Whether it's winter or summer, pile on the garments—the more you have, the more it's like starting a regular poker game with hundreds of chips. You'll have a lot to lose before things get a little bit more interesting. A fun and flirty game, make sure you know who you're playing with and that everyone knows the rules of strip poker before you get started. And don't worry, at least with these rules, no one has to actually end up naked. 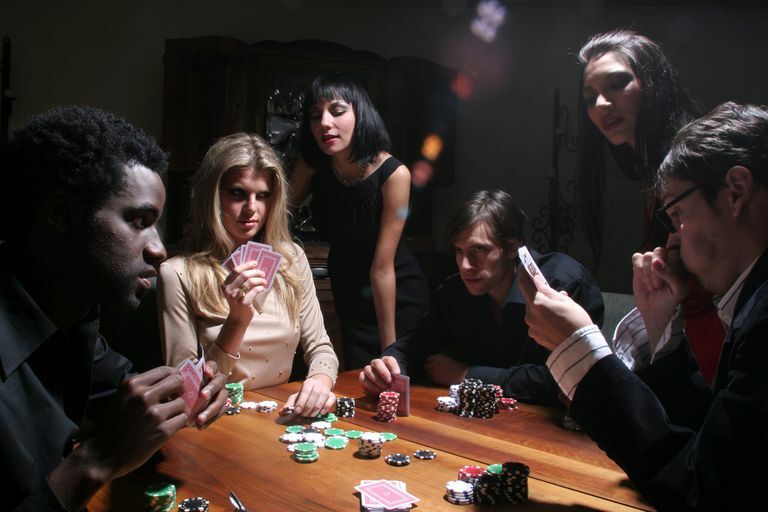 Before you think about adding strip poker to your evening's entertainment, make sure you're with other like-minded adults. This game is for couples, potential paramours, or a group or party of like-minded friends who won't freak out when the clothes come off. No one should should feel pressured into playing this game: having an unwilling player won't be any fun for that person or for the other players either. In fact, you might want to put the idea on the table before everyone even comes over. This gives everyone an easy out if they're uncomfortable with it. That approach is better than waiting until everyone has gathered and then springing it on them when a spotlight will focus on anyone who seems to be reluctant or unsure. Other partygoers might lean on them a little, which is uncomfortable also. If you don't pay attention to this detail, you might be very sorry in the morning; sensitivity matters. In addition, have a plan to let a player completely bow out should things get a little uncomfortable. Instead of playing for cash, you play for clothes in strip poker. Alternatively, you can start out playing for money, then players must offer up articles of clothing to stay in a hand when they run out of chips or cash. If they lose, the clothes get removed one piece at a time. This can be a great way to make a regular poker game last a bit longer. Strip poker doesn't always closely follow actual poker rules, and you have some ability to make the game your own. Sometimes players all get a draw, then they show their cards. All the losers have to take off a previously specified item of clothing while the winner gets to keep everything on. You can play any variation of poker, although it's best to keep it to simple games with fewer betting rounds, such as five-card draw or one of the five-card draw variations. Basically, everyone is dealt five cards and they can then exchange one or more of them for an equal number of cards from the remaining deck. Strip poker is also often played with one betting round, akin to Texas Hold'em, putting more pieces of clothing at risk if you want to stay in the hand. You can either see that bet, raise it, or fold. A player who wants to stay in must see or raise that bet, just as in regular poker. If you lose, you lose the garments you bet. If you win, you get to keep them on. It's that easy. Regardless of how you play, if you think of pieces of clothing as money, then it all usually makes sense. How Much Is Each Article of Clothing Worth? That's up to the players. But you might want to decide the value of each article of clothing before people start shedding their shirts. Is a single sock is worth one bet? Is a shirt worth two? How about underwear? Maybe five...or 10. Decide before you begin what the currency of clothing equals. Also determine if scarves, shoes, ties, and other small garments and accessories count and how much. You'll also want to determine if everyone starts out with roughly the same amount of clothing to make it fair, or if you allow some inequities based on what people are naturally wearing. You'll know. If someone is down to his skivvies and hugging himself and declaring he's out, it's over. You might even decide to set a game-over point before you get started. 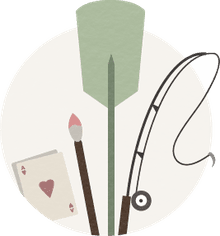 Strip poker is meant to be a lighthearted game for friends and couples, so it's important to keep the mood fun, and possibly a little bit flirty. It's also a good idea to keep some robes nearby, just in case someone gets a little shy or chilly during the game. Regardless of how you play, the important part is to have fun and be respectful.